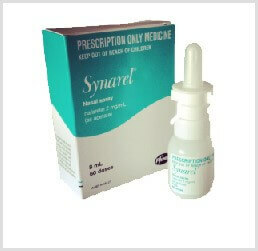 Synarel Nasal Spray provides the hormone GnRH, or gonadotropin-releasing hormone. 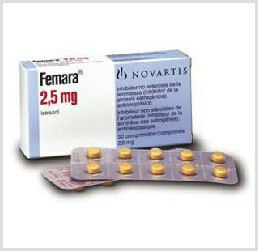 Synarel is used to treat a wide variety of both uterine disorders and to treat infertility in women. 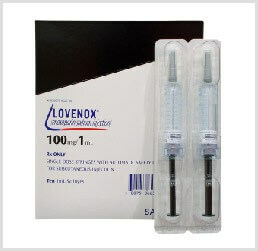 This drug mimicks the naturally produced hormone responsible for the regulation of estrogen in women, or testosterone, in the case of treatment for men. 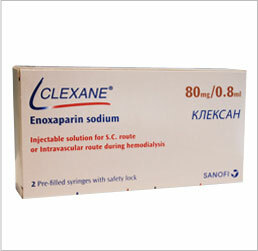 Synarel is one of many high quality infertility medications offered by IVFPrescriptions. Of the infertility drugs on the market, Synarel has a successful track record resulting in pregnancy. Synarel is one of many IVF meds that are indicated for use in treating infertility, often in combination with other IVF drugs. Because we offer only the top branded IVF medications we are able to help you save on the Synarel price, over most others in the same market. Synarel, used as part of the overall IVF treatment, and in conjunction with other ivf drugs, can have one or more side effects. Most women experience little to no side effects, but may suffer from a slight burning sensation in the nose when applied, hot flashes, mod swings, headaches, lowered libido, vaginal dryness, reduction in breast size, or muscle pain. Serious side effects (requiring immediate medical attention) include depression that doesn’t go away, increased heartrate, bone pain, pain in the lower back or abdominals, numbness or tingling in the extremities, or pain/pressure behind the eyes. Seek urgent care if you have severe headaches, erratic behavior, confusion, trouble seeing, or vomiting that does not stop.